In the past few days, I have had some exchanges on twitter with Jairo H Venegas and Ralph-Christian Ohr on different thinking around the three horizon methodology. We share similar views on its value and partly how it can be applied. Ralph and I exchange constantly and occasionally meet up together. Actually, we need another meeting Ralph to catch up and explore these mutual innovation value points. There is a variety of different views on our product failure rates. According to some, the failure rate for new products launched for instance in the grocery sector is 70 to 80 percent in the US. For smaller US food businesses launching new products, the success rate is even lower around 11 percent. These are really high failure rates but is this a myth or reality? 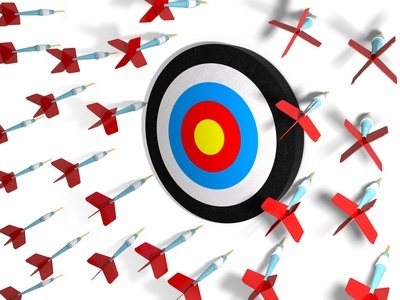 How does your organization evaluate product failures? Do you really want to talk about them? Within our ‘business as usual’ attitudes lie the seeds of destruction. Today there is a relentless pace; we are facing stagnation in many maturing markets. We actually subvert the future to prolong the life of the existing. We constantly look to make it more efficient and more effective but this is in the majority of cases just incremental in what we do, both in innovation and our activities. These are often simply propping up the past success instead of shifting the resources into the investments of the future. 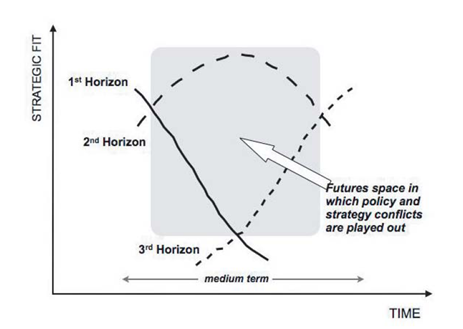 Within the Three Horizon framework for innovation the horizon two is beginning to address some of the current decay arising from the core within the existing activities (or system). Here we have the highest tension point as it is the place for transformation to take shape and form.